When building Capital Expenditure Plans, costs that are often overlooked are those that are not tangible. Getting a firm quote from a vendor is relatively easy on a piece of kitchen equipment or even 300 rooms of guest room furnishings. However, it is important to realize that other costs associated with CapEx items or projects may not be so obvious. “Late announced surprises” can contribute to severe cost overruns at the close out of the project. As it is said, “That could ruin your whole day”!!!! a. Sales Tax – These can vary but generally range from 4% to 8.25%. More states are on the upper end of this range than on the lower. Some cities or counties have additional taxes that are imposed due to Enterprise Zones, school improvements, civic improvements, etc. b. Use Tax – Often it is assumed that purchases from out of state will not incur sales tax. However, it should be known that those states will seek “Use Tax” based on the purchase price of the product. These generally are about the same percentage as sales tax for the geographic location that the product is used or installed. c. Contractors’ Excise Tax – Certain states require a collection of 2% of Gross Contractor Receipts plus the value of owner furnished materials handled or installed by that G.C. These taxes are imposed on the general contractor and paid by the general contractor; however, the cost will directly affect your CapEx budget through the general contractor’s cost to you. Check the area that you are performing CapEx to identify any such tax. 2. Freight – This category can have a wide swing in variance. Based on early 2012, CapEx budgets should allow 9% to 13% freight on the purchase price of the products, materials or equipment. Issues that would alter these estimates are fuel surcharges, charges for unusual weight or charges for cubic volume. Purchasing groups and logistic companies are very astute in managing freight costs for a hotelier and additionally can enhance the overall effectiveness of a project. 3. Professional Fees – This would include interior design, architectural, engineering, purchasing and other consultants that would be involved in the CapEx project. 4. Other – Installation charges, warehousing (including local delivery to the site), rental equipment, building permits and general contractor overhead and profit. To assure that all capital expenditure plans are accurate, it is suggested that each project be thoroughly queried of the above questions. Share your experiences that relate to this article by clicking here. Need a little help understanding how John Fulton can formulate solutions to better organizing your hotel’s “5 Year CapEx Plan”? Contact John Fulton for details. Assume that $200,000 to $300,000 of your hotel’s much needed capital expenditure program had been “stolen” and will not be recovered. You will not be able to benefit from those CapEx projects, nonetheless; your hotel is still expected to exceed the guest expectations and surpass aggressive competition. On the surface this scenario seems ridiculous, however; this is exactly what is happening to many hotels. Too often CapEx projects waiting for their turn in the chronological order of replacements and renovations are delayed or cancelled. Which of the following procedures are responsible for stealing funds from your future CapEx projects! Your hotel waited far too long to get a guest bathroom renovation! However; it is now complete, you are well ahead of your competitive set and your company expects to gain some impressive revenues over the next 6 years. Not so quick! 18 months into this cycle you begin to see Q.A. comments regarding conditions of these faucets. As you investigate, you determine that the chrome or plated finish is coming off and allowing the brass to show through on fixtures that should last 10 years!!! Many hotel operators have found too late that abrasive cleaning pads or abrasive cleaning solutions “have found their home” onto maid carts. Repetitive use of these products will slowly but surely scrape the finish off to expose the brass. This unnecessary replacement is unfortunate since faucets will generally clean up beautifully with no more than warm water and a little mild soap. Hoteliers should immediately remove these abrasive cleaners from the faucet cleaning process and re-train their associates! On a 400 room hotel, having to pre-maturely replace the bathroom fixtures could steal $58,000 to $65,000 from that much needed meeting room sound system, roof project or new energy management system. In a recent walk-thru you found strange looking black spots about the size of dimes and quarters on many guest room bath mirrors. They are unsightly and substantially lower the guests’ perception of the entire bathroom. Because of the blemishes, franchised properties will face reduced Q.A. scores and independent hotels will face guest satisfaction issues. This situation is a disgrace since bath room mirrors should last 7 to 10 years. Black spots are caused by the silver plating separating from the glass and allowing oxidation to occur. The silver plating of a mirror is protected on the back side by a special coating. As hotel associates spray the mirrors for cleaning the liquid often runs down the mirror and collects at the bottom and sides. This liquid then wicks into the back of the mirror. If ammonia is one of the ingredients of the cleaning solution, its contact with the protective coating causes the silver plating to oxidize and create black spots. The damage will not be obvious for several months or a year after the new mirrors are installed. By this time it is too late to reverse the damage and replacement is almost always necessary. This 400 room hotel could face $64,000 to $78,000 to replace these mirrors! What revenue producing capital expenditure project could you have put in place if this wasteful replacement had not occurred? You begin to notice horizontal lines on your nearly new corridor wall covering. These lines are not rips or gouges in the vinyl but instead unsightly “lines” that are becoming an eyesore. This is a direct result of laundry carts being allowed on the guest floors. Even though cushions, bumpers or suede leather wraps are installed on all four corners of the carts, damage can occur. The protective bumpers (suede leather wraps included) are rubbing the wall covering. Because of this, they are “burnishing” a line on the wall which changes the light reflective nature of that area of wall covering. Associates often tie a towel or rope on the laundry cart to pull it as they collect the soiled linen. Laundry carts will veer from one side of the corridor to the other…often rubbing against the wall for some distance. Since the cart is not “gouging” the wall, the associate thinks nothing of it. The costly results of this will not show up at first, but when it does…..it is too late. Short of installing a horizontal piece of woodwork over the damage, you will need to re-do your corridor wall covering project. Unfortunately, this mistake will be responsible for deferring or cancelling $93,000 to $135,000 of your future capital expenditure projects. As you can see….it only takes a few issues to collectively steal $200,000 to $300,000 from your hotel’s CapEx program! Need a little help understanding how John Fulton can formulate solutions to “Extending The Life Of Your Asset” and better organizing your hotel’s “5 Year CapEx Plan”? 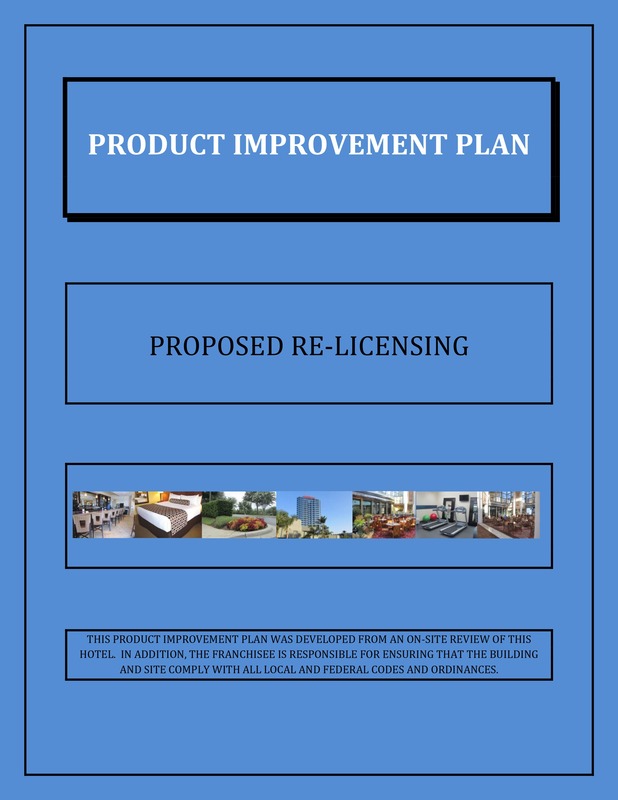 It has been noted in many recent trade journals that 2012 & 2013 will see elevated activity in renovations, compliance to brand standards and the repositioning of hotels! This expectation comes with a solid foundation! • All indications point to another year of very little debt or equity financing available for new construction. 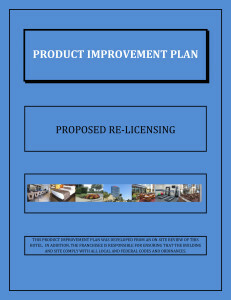 This is a huge advantage for existing hotels that revitalize their properties for the coming business demand. As business improves, no-action regarding deferred CapEx is “poor business”. It is important that hoteliers take action to both “Extend The Life Of The Asset” and position the hotel to outperform the competitive set. • Even those properties seeking to secure “contract” business will need to invest in their asset! Prospective clients and meeting planners often demand a commitment that specific items be addressed before an agreement is finalized. Requests such as these may involve meeting room technology, guest room upgrades or fitness center improvements. Identifying and completing those improvements before your client visits your property is strategic! For hotels…..you never get a better time to make a “good first impression”……than the first impression!! Therefore, properties that refuse to strategically plan and activate upgrades and improvements will miss the full impact of a recovering business environment. In reverse, those hoteliers that have prudently performed……or are now “kicking-off” CapEx projects will be the first in line to capture the new business. So the real question is: Your CapEx Planning – If Not Now, When? Take a moment to share your insight……click here.